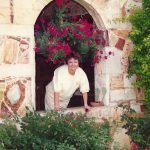 Carole Lynn Patterson, passed away on Wednesday, April 10, 2019, in Pasadena, TX, at the age of 73. She was born January 8, 1946, in Fort Worth, TX, to Bob Crone and Mary Lou Landrum Bancroft. Carole started her career with Travelers Insurance Company before joining James Plumbing where she retired. Carole enjoyed gardening, playing dominoes, visiting with family and friends and her bible study classes. In recent years Carole enjoyed watching the Hallmark Channel, The Voice, American Idol, and the Houston Astro’s along with the Texans. She loved sitting on the patio watching the birds and admiring the garden. Carole always had a smile on her face, she loved her family and always wanted to be part of the party. She especially enjoyed the Christmas season, seeing the lights and the family gatherings and gift exchange games that were played; she laughed and laughed. Carole cherished the time she spent with her family and enjoyed seeing her grandchildren, she thought they were all precious. She is preceded in death by her mother, Mary Lou Landrum Bancroft, Father, Bob Crone, Brother, Mike Moden and Step Daughter-in-law, Patti Gilbert. She is survived by her loving husband, James Patterson of 36 years, son Gary Dillard, sister, Mariann Sumner and husband Lonnie, brother, Pat Moden and wife Kathy, along with step sons, Brett Patterson and wife Denise, Eric Patterson and wife Evie, Toby Patterson and wife Jennifer and Gary Patterson and partner Beverly Greig. Grandchildren include Ivy Denis and husband Brandon, Ian Coyle, Trisha Rodriguez and husband Justin, Holly Patterson and partner Brett Bailey, Christopher Patterson and wife Lori, Stefanie Lewis and husband Garrett, and Jessica Schoppe and husband James. Great grandchildren are Austin, Trevor, and Cody Denis; Trenton, Kole and Kannon Lewis; and Kinsley and James Schoppe. She is also survived by numerous nieces, nephews and cousins. The Family will receive friends on Sunday, April 14, 2019 from 2-4:00 pm with a Memorial Ceremony at 3 o’clock at Crowder Funeral Home, 1645 East Main Street, League City, Texas 77573. My condolences to the Patterson family, May the Lord be with you during this time of grief. Carole is with Jesus now and as happy as can be. Take comfort in knowing this. What a blessing Carole was to me. When she first came to work at James Plumbing I thought oh me what have I’ve gotten into! Being opposite personalities we quickly became friends. Her life became an adventure for me. She never meet a stranger and her smile I will never forget. One of the greatest things she did for our family was to introduce Misty to our son Scott. Not only did we get the greatest daughter-in-law but Misty’ family. I know that Carole and Molly have been talking nonstop since she entered heaven and probably some dancing going on. Every time I think of Charlie I hear her laughter and she her smile. I will be praying for Jim as you adjust to her passing — she loved you so much. It will be hard so rely on God and he will be with you every step. Precious memories will be ours forever.